Chris Hancock and Shane grew up together in Woodstock in a community of friends and families who love music – playing and hearing it. 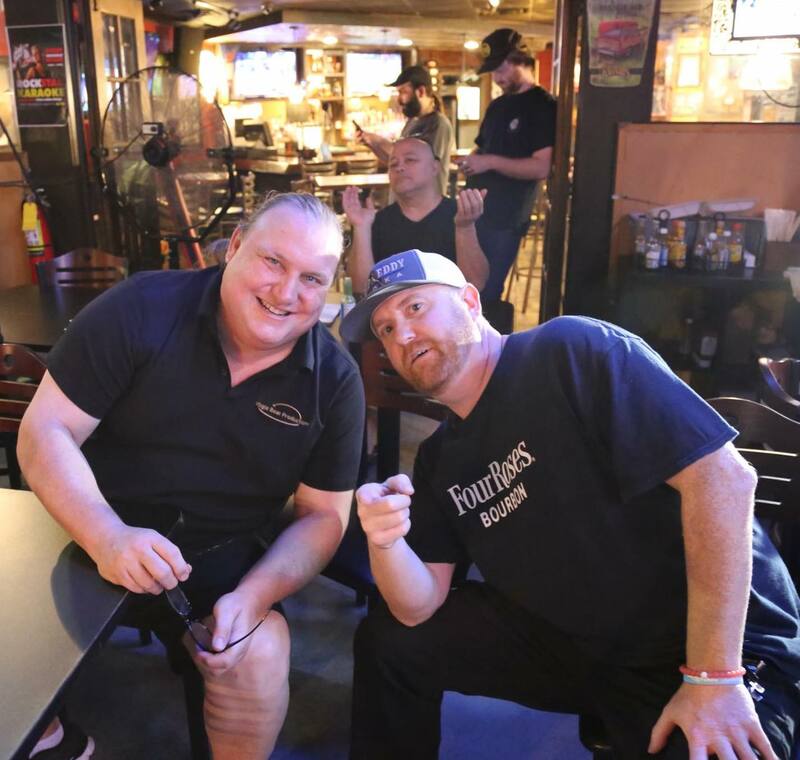 The two friends met in 2017 at Chris’ family-owned and operated restaurant, Rock ‘N’ Taco. “Really, Chris and I met to catch up and have dinner. Their taco creations are fantastic. I explained that at a recent show I played accompaniment guitar. This local singer-songwriter competition has built up quite a supportive crowd of songwriters, musicians and music lovers. These events express an enthusiasm for original music that is a welcome change from the hordes of cover and tribute acts that seemed to be squeezing original artists from area venues.” Might something similar work at Rock ‘N’ Taco? 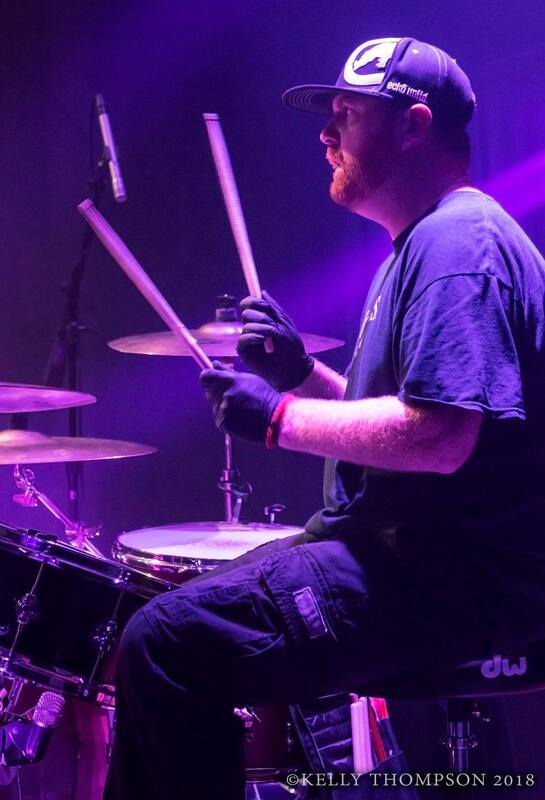 Although a music fan, Chris shared some of the challenges of putting on live music at his restaurant. Before dinner concluded they convinced one another to produce an event that would be special. There was never any thought of doing much other than trying to shine a bright light on the fact that Atlanta’s music scene is loaded with talented songwriters and players. They deserve a stage just as much, if not more than cover performers. Fast forward from that conversation in early 2017, and now regularly on Tuesday nights you’ll discover Rock ‘N’ Taco packed with music fans enjoying food, drink and Original Series performances. Without Chris’ support to back an event supporting original music, the Original Series would likely not exist as it does today. It is not necessarily a glamorous event. There is no stage. The artists setup in front of bay doors with windows cascading light and often sirens from Roswell Road traffic, and for all intents and purposes it’s just a bar gig. However, it stands out with a very “pro-music” vibe among the audience, the artists, and the people who run the event. “It’s tough to book acts just starting out, especially to play original music,” Chris offers. “Some bars and restaurants featuring entertainment offer music curated by people wearing many hats and booking bands is just one of many responsibilities. Time to seriously listen and sort through numerous booking requests is a challenge for many venues. Many requests come from acts the venue has never heard before and booking a cover band can feel like the easier, less risky way to get more people to stay and buy food and drinks.” In contrast, The Original Series is produced, booked, and promoted by people who are musicians, music lovers, and actively involved in the Atlanta music industry. The Original Series stands out with a very “pro-music” vibe among the audience, the artists, and the people who run the event. It is a formula that has reverberated well with both musicians and music fans. A sampling of acts that have played the series are below. Many of these have gone on to become well established in Atlanta, regionally and nationally. Some performers had already played regularly among other Atlanta venues, but welcomed the chance to play before appreciative fans and compete for coveted awards and prize packages. Musicians are often in the audience supporting their friends or checking out their competition! Michael Zaib, Electric Blue Yonder, Layne Denton, Wendlo, PV-23, Sanctified Revival (now Velvet Willow), Rob Agocs, Tyler GoForth Band, SheBloom, Carrington Kelso, Wet Jeans, J Kyle Reynolds, Trevor Startt, Manny Cortes, Nocturnal Animals, Taylor Chaffin, Honey Hips, World Is Watching, The Garret Collins Project, Last Chance Riders, Clayton Tyler Wyatt, Too Many Peachtree Streets, Crooked Sidewalks, Sara Kays, Moses Mo & the Real Cool Band, Flashback Flash, Colin Alvarez, and Garrett Wheeler. 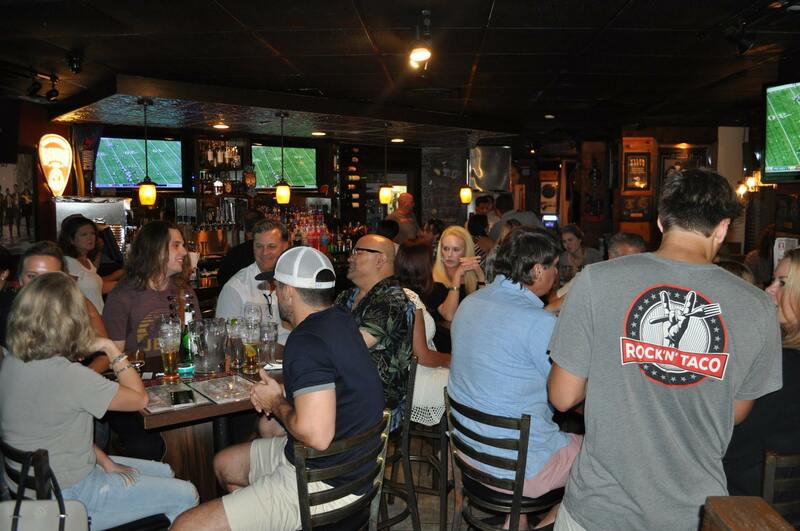 With sponsorship from Rock ‘N’ Taco, as well as Reformation Brewery, Four Roses bourbon, and Deep Eddy vodka, the series is able to offer not only cash but services musicians value including videos produced by Gig Pump Magazine, radio play by 99X, and even stories published here in Atlanta Music Grapevine. Much of the series success can be attributed to the patient care and support of sponsors and producers who have nurtured the event, and appreciative audiences attending weekly. It is also a friendly and “safe” environment to try out material. The next series begins February, 12 and is held weekly on Tuesday nights. The event crescendos during a semifinal and final round held on a weekend. It is important to remember that it is a competition, and acts are scored against multiple criteria. Frequently, participants request feedback on what worked well and what might be improved in their performances. Below – in his own words – Shane shares some advice often discussed with Original Series participants. Original Series events have featured hundreds of original music performances, our production team has also performed in several, and these kinds of events go on all over Atlanta and surrounding areas. Some singer-songwriter and original band shows ARE boring. However, that doesn’t mean the singer-songwriter format is boring or original bands are not any good. Just a few actions on an artist’s part can make a world of difference. Stage banter is a time-honored story telling tradition. A relaxed ability to address the audience and talk about yourself and your music is a critical part of the live performance. Seasoned music veterans have mastered this art and use it as opportunity let the audience in to what makes them special and unique. Starting off, it may not come naturally and like your instrument, you must practice and work at it. Great chefs do not start preparing world class cuisine from birth. 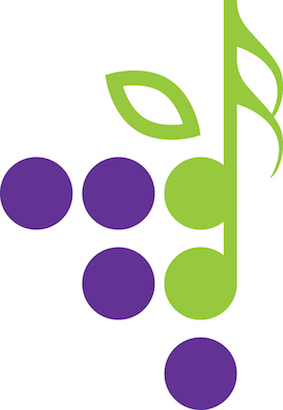 They work at it for years and years for their creations to become appetizing, as do songwriters. Practice stories and jokes at home. Make notes on your set-list in case you freeze. Make mental notes about what works and what does not. You want to get to a point where you have lots of material, but nothing planned and can play to each room making every show unique and special, but this takes time. This takes a level of confidence that is gained after years of performing and hundreds of shows. Stage banter does not settle into place overnight. It takes time and repetition! You play the same songs every night in every city and every venue. What makes your show special for those in the house are the things you do differently for them. Playing off the crowd, calling out the city, the breakfast joint you ate at this morning, the people making out in the back, the crazy hat person. These are things that the crowd will remember if you point them out from the stage and joke about it. These things make your banter special, crack people up and pull them in closer. Original artists who play their instruments poorly make it very difficult to be taken seriously. You don’t have to be Joe Bonamassa or Harry Connick, Jr. on your instrument, but you should at least be capable. You should master your style of playing. Looking down at your fingers during chord changes the majority of your set is completely unacceptable. You should not be performing ticketed events until you have mastered your instrument in the style you are writing and playing. Sure, there’s always room for improvement. If you can’t solo, don’t take solos. However you play your instrument, do it well! Anything less detracts from whatever brilliance your lyrics have. Practice, practice, practice and then practice some more. Songwriting is more than complicated chord progressions wrapped around off the wall rhythmic punches, but can be that, too. What it can’t be is an opportunity missed to tell a great story with the music and words that connects with people. A mediocre player shredding continuously throughout the whole tune, instead of writing and playing a part to support complement the song, the story; the lyric, is missing the point. It’s self-indulgent! Likely boring to the listener, too. You’re a SONGWRITER. It is in your title as a singer-songwriter and implied for an original band. If you are in a band… write parts that serve the song more than yourself. Your songs have to be great (great does not mean complicated, busy, or superfast) and so do individual parts for each band member. Spend time writing and rewriting and rewriting. Great songwriters and musicians write far more songs and parts for songs than what we actually hear recorded and performed live. Not everything we write is gold. The Beatles wrote a TON of material we have never heard. Make sure your songs have hooks, memorable refrains or choruses, and have identifiable lyrics. Today’s formulaic pop can get away with clichés and blandness because the dance-bumping production beneath it is most intent on making club groove music. Original bands have an advantage depending on the natural talent of the rhythm section. Bands can write great stories that people will more often get up and groove to (thank you, bass and drums). In the singer-songwriter genre the story comes first when it’s one person and a melody instrument. Solo acts must play songs that are creative, intriguing, enticing, stimulating, and thought provoking. If you’re a singer-songwriter and your lyrics don’t evoke SOME kind of emotion, rework them until they do. And never settle. Don’t just surround yourself with friends and family who tell you everything you write is magic (they don’t know). Test out some songs on sites like Audiokite or Fluence to get unbiased opinions from both average listeners and industry experts. This is the kind of thing no one wants to have to talk about, but it’s important. You’re a performer. One of the things you do is ask for the spotlight and invite people to pay attention to you. Give them something interesting (and memorable) to look at! You don’t have to go full Lady Gaga (and maybe you shouldn’t unless you’ve got the goods musically), but wear something that is patently you. You’re an artist. Be artistic! Embrace your quirks. Laugh. What you wear should help you feel like you’re suiting up for the big game or to go into battle so dress up; be different; become self assertive. If you look plain, people will expect plain. Wear what feels right for you. Cargo shorts and flip-flops are fine on the beach, but not on songwriting musicians on stage. Whenever writing a song do you ever ask yourself if you’ve written anything anyone will remember? You’ll want to try to make sure your songs contain at least one line that sticks. Being a great lyricist is a concept; a goal; an understanding that great songs include a line so brilliant that fans would tattoo it on themselves. These are the expressions people remember after you perform. They stand on their own. They give us depth and pause. Brilliant singer-songwriters and original bands can use one instrument to primarily sonically command an entire performance, but they’re at the top of the game. I read that Trey Anastasio (guitarist/singer-songwriter of Phish) did an interview discussing how people will get bored just hearing the same sonic palate for two hours and how those listeners need sonic variance. He learned a few songs on piano for his solo shows. He’s not the best at piano, but very capable, and this upgraded his shows making them much more compelling. After mastering your main instrument, experiment with introducing other instruments into your set. If playing multiple instruments isn’t your thing, play with a band or other musicians who can help add sonic layers to your sound. The audience’s ears will be in for a treat and they’ll thank you in energy and feedback. If you’re playing to a room full of people who don’t know your music, throw in a cover to help draw them back in from sitting through 20 minutes of material they’ve never heard before. Some events don’t allow covers like Original Series, but we’re talking about performances for long sets – 45+ minutes. It is overwhelming for most people to get 10 songs back to back for the first time, so make a nice interruption using a cover. Choose a cover your audience will know. Why play an obscure cover from the 70s by a band only a few people in the crowd will likely know? Choose a cover played within your music style that the majority of your crowd will enjoy. This seems like a no brainer, but performing on stage or at any event, needs to be a PERFORMANCE! It’s just not enough to stand there being a good singer or player! Great live performances require performers willing to lay it on the line and put on a show! That’s tough to hear. It requires us to bare our soul. So, work on your banter, and how you perform your songs. You don’t have to bop around on stage or do a comedy routine, but give all your courage and talent and create something memorable when you perform. Dave Matthews ravages his guitar while belting (sometimes not so pretty) vocals with all he’s got. He puts so much passion into his performance the audience is immediately drawn in by his energy. Ed Sheeran goes off on insane looping jams. Harry Connick’s banter is primo; he switches off between piano and drums and can transform the Fox Theater into a living room making everyone in the house feel like best friends. Kevin Kenny is equally strong playing a solo acoustic show as a full band rock show. Ani DiFranco kills her guitar and leaves her guts on stage. Robert Randall & the Family Band rotate instruments and every player can almost play any other instrument on stage – amazing! We are proud of this event and these artists who have advanced through it. They are a positive force in Atlanta’s original music scene. It is very humbling to be in the middle of so many talented people here in Atlanta. When we all write great material, tell captivating stories, and bring excitement to live music performance, it makes the entire Atlanta music scene better. I sincerely hope to enjoy a show with you soon. Special thanks to Wilson Brothers Technologies, Gig Pump Magazine, Atlanta Music Grapevine, Real Productions, GCR Consulting, and 99X Radio (a Cumulus station), for their contributions to the event’s success.